WASHINGTON (CNS) — Amid the imposed and often fast-paced routine of everyday life, an app is giving people a reason to quiet their minds through light meditation and prayer. 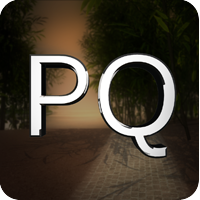 PeaceQuest is an immersive 3-D app designed to take users on a spiritual journey and allow them to establish a deeper connection with God and with themselves. Father Stephen Fichter, a research associate at the Center for Applied Research in the Apostolate, and Kathe Carson, president of the video production company Kathe Carson Inc., created the app in December 2013. Father Fichter said their motivation came from recognizing the “constant intrusion” of technology in people’s lives. The app runs as a 10-minute video that transports users into a serene, pastoral landscape lush with greenery and chirping birds. Users enter a chapel where the “anam cara,” a Gaelic term meaning “soul friend,” waits to guide them on a meditative journey. “This is really meant to be an app to help people relax, reconnect with God, get a good inspirational message, help them … with whatever they’ve gone through during their day,” Father Fichter said. Carson called the app “a more colorful way of praying” and said she thinks the graphics and artwork enhance its evangelical element. PeaceQuest is influenced by Celtic spirituality, and its setting is specifically modeled after Glendalough, a scenic valley in eastern Ireland. Father Fichter was inspired by the Irish countryside after training in Ireland as a seminarian, he said. “Rather than trying to get people to unplug, which I think is a good thing to unplug, but knowing that they’re going to be in that world, the idea was … to try to get in there so that at least there’s a good solid Christian message that’s being brought across,” he said. “So much has been an effort to really help the church enter into the 21st century and really be available where the people are and if people are on their smartphones and if they’re on their iPads, well, we want to be there,” he said. Though the app is targeted toward the younger generation who own smartphones and tablets, Fichter said it can be useful to an older demographic as well. Carson added that, in focus groups completed before the app was released, many people who weren’t regular Mass attendees found the app particularly helpful. “They’re basically looking for something like this to have a connection and to be peaceful and for whatever reason that they don’t get to participate in Mass on a regular basis, they’re finding that PeaceQuest definitely fills a need for them,” Carson said. Currently, the app consists of one meditative journey with different parts that focus on “the acceptance of change in our lives and maintaining hope even in difficult moments,” Father Fichter said. He said he and Carson have plans to create more quests on the app that center on other themes such as forgiveness and reconciliation. “This is a great place where we as a church can truly be evangelizing and really getting out there and getting the message of the Gospel to people in a very attractive, modern way,” he said. “At the end of the day, the message is still very powerful, that it’s about connecting to God,” he said. Editor’s Note: The PeaceQuest app is available for iPhones and iPads and can be downloaded at the App Store.